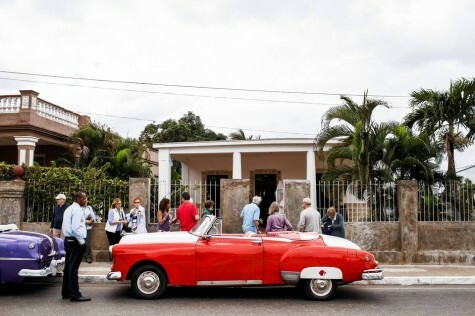 The Wall Street Journal says: ‘Following President Obama’s steps to ease travel and trade restrictions on Cuba last year, the island has been overwhelmed by cultural visitors on the hunt for the next exotic destination. American art, entertainment and technology executives are scouring the country for new locations to shoot, new TV shows to pitch, new artists to market. Visitors with culturally enriching itineraries and bulging money belts are packing into tour buses that wobble over Havana’s torn-up streets.’ In other words, it’s already over.